New York Times reports that before Six Day War, Israel planned to detonate atomic device atop a mountain in the Sinai Peninsula. 50 years after the Six Day War, The New York Times revealed on Saturday that on the eve of the war, Israeli officials raced to assemble an atomic device and developed a plan to detonate it atop a mountain in the Sinai Peninsula. The move was meant to serve as a warning to Egyptian and other Arab forces, according to an interview with a key organizer of the effort that will be published Monday. 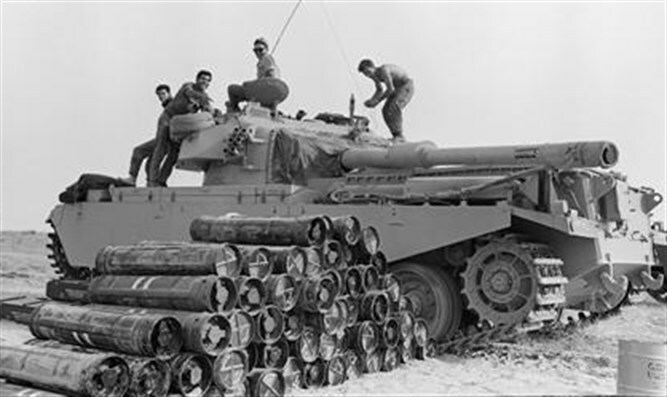 The secret contingency plan, called a “doomsday operation” by Itzhak Yaakov, the retired brigadier general who described it in the interview, would have been invoked if Israel feared it was going to lose the 1967 conflict. The demonstration blast, Israeli officials believed, would intimidate Egypt and surrounding Arab states — Syria, Iraq and Jordan — into backing off. However, according to The New York Times, Israel won the war so quickly that the atomic device was never moved to Sinai. Yaakov’s account, which sheds new light on a clash that shaped the contours of the modern Middle East conflict, reveals Israel’s early consideration of how it might use its nuclear arsenal to preserve itself. Yaakov, who oversaw weapons development for the Israeli military, detailed the plan to Dr. Avner Cohen, a leading scholar of Israel’s nuclear history, in 1999 and 2000, years before he died in 2013 at age 87. Israel has never acknowledged the existence of its nuclear arsenal, in an effort to preserve a policy of nuclear ambiguity and forestall periodic calls for a nuclear-free Middle East. In 2001, Yaakov was arrested, at age 75, on charges that he had imperiled the country’s security by talking about the nuclear program to an Israeli reporter. A spokesman for the Israeli Embassy in Washington said the Israeli government would not comment on Yaakov’s role.